We are conveniently located at Rd 68 and Chapel Hill, right beside the Maverik Station. Driving is a life-long privilege and a skill that requires total awareness and attention to detail. Trust the best instructors to teach your student to be a responsible driver for life!!! PLEASE NOTE: STUDENTS MUST BE AT LEAST 15 YEARS OLD BY THE FIRST DAY OF CLASS. 30-hours Classroom, 4 hours drive simulation (ZED), 5 hours of behind the wheel instruction, 1-5 hours of behind the wheel observation (1 hour minimum), and 1 DOL Knowledge test. Please Note: Participation in ZED computer simulation is mandatory and is conducted for an additional 20 minutes after each class except for Class 1 and Class 15. Actual class time periods for Classes 2 - 14 are as follows: 3:30-5:50 pm, 6:00-8:20 pm, or 9:00-11:20 am. 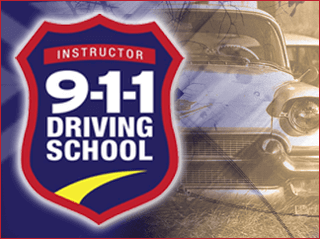 Ideal for refresher for our 911 graduates to come back and take before taking the DOL drive test or if you just want to brush up on your skills.